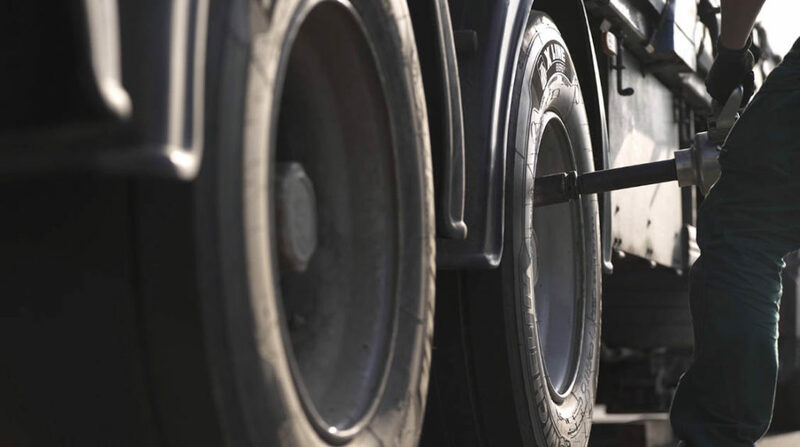 Michelin X Line Energy tyres have been hailed the best for long distance fuel efficiency after tests revealed a truck and trailer running on the fuel-saving tyres will save an average 1.4 litres per 100km. That equates to an annual saving of up to £1,670 and a reduction of 5 tonnes of CO2 emissions based on a vehicle covering 130,000 km per year – compared to the average of its five main competitors in the long-haul market, achieved by the superior rolling resistance of the tyres. Michelin X Line Energy tyres went up against those manufactured by direct competitors on a 200km journey at an average speed of 80km/h on real roads, organised by the DEKRA Test Centre*. Michelin’s latest generation fuel saving tyres came out on top, and also stood out for their strong casing, excellent reliability, efficient braking on dry and wet surfaces and smooth, high-precision handling. Chris Smith, Michelin’s Marketing Director North Europe – Truck & Bus, says: “These results prove that Michelin X Line Energy tyres are the obvious choice for fleet operators where the bulk of the work is on trunk roads at sustained high average speeds. The performance of Michelin’s X Line Energy tyres is linked directly back to its investment of more than €700m each year in research and development. This constant focus on product development allows fleets to increase their profitability with a product offering a low total cost of ownership.